Looking for a really tasty, super easy, healthy recipe? This one hits the mark on all of those, including taking less than 10 minutes to prep it, set it, and forget it. It’s almost comical how quick and easy this is. So, I’m going to keep this post quick and easy to save you time getting to the recipe. Enjoy! Pour dry rice into slow cooker. Cut chicken into cubes. 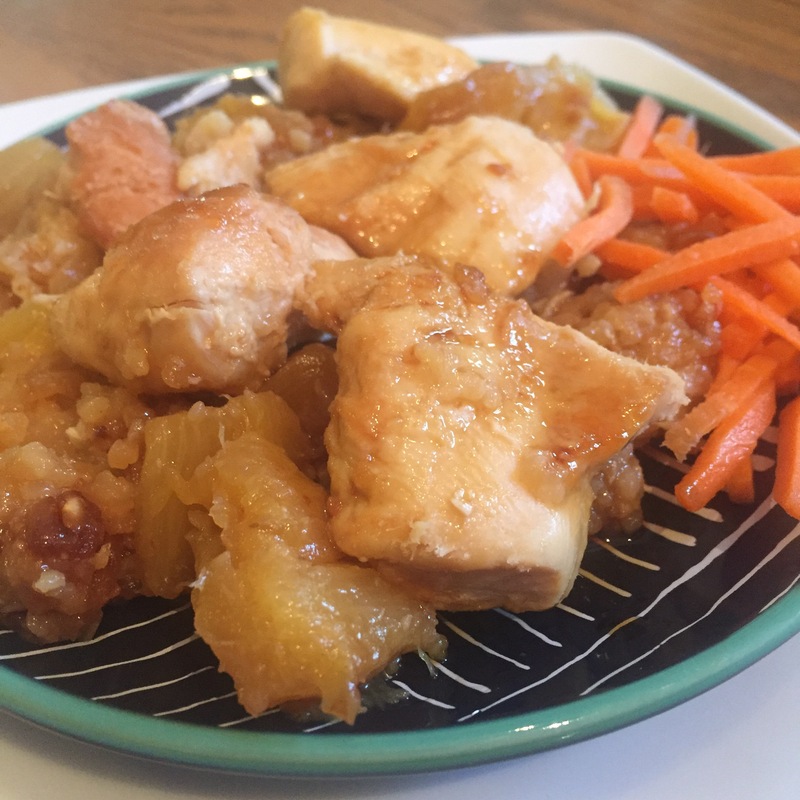 Place chicken and pineapple on top of rice. Pour teriyaki sauce and water in the slow cooker. Cover and cook on low about 6 hours until done (depending on the heat of your slow cooker).